Avatars, or the well known Gravatars, are tiny images, often called your online identity, picture, badge, logo, or graphic image which represent you and/or your blog. Some use photographs of their face or body, or a body part like an eye, nose, or hand. Others use pictures of animals, flowers, scenics, or graphic images. 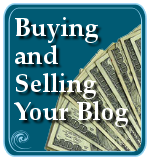 Many professional bloggers use their logo. Many people like to see these graphic representatives of their blog next to their comments, or now, with the new addition of avatars and Gravatars to WordPress.com, in their WordPress Administration Dashboard listing of the top posts, My Comments comment follow panel, and on the Comments Panel, as well as within the comments of many WordPress Themes. When Automattic bought Gravatar, they updated the infrastructure to speed things up and updated the Gravatar WordPress Plugin. Then Gravatars support was enabled for all WordPress.com users. Those with a Gravatar attached to their email will see their Gravatar image appearing on all WordPress.com blogs, as soon as they finish enabling all WordPress.com Themes. WordPress.com bloggers can add an avatar image to their blog by going to the Users > Your Profile panel. In a box currently on the left side is where to upload your image. The image should be no bigger than 128 pixels, though 80 pixels square is the standard. The image must withstand “shrinkage” down to 16 pixels, the size that appears on the Administration Panels Dashboard. If you would like to add Gravatars to your blog, begin by registering a Gravatar image on the Gravatars site by signing up and submitting an image. Then follow the user’s guide which includes how to enable Gravatars on your blogging platform or program. WordPress users can use the Gravatar WordPress Plugin from the Gravatars site, or chose from the Easy Gravatars WordPress Plugin or WordPress Gravatar Plugin by Il Filosofo. Both have excellent features and customization. How Do I Make My Avatar/Gravatar? Your avatar or Gravatar comes in only one size when uploaded. Traditionally it is 80 pixels square, but Automattic has stated that they want to increase the base size to 128 pixels. The key to creating a useful avatar is that it must be “shrinkable”. It must have the ability to remain viable and visible down to its smallest size usage. On most blogs, the comments area features an 80 pixels square image. On the WordPress.com Administration Panels, the image varies from 48 pixels on the My Comments panel, 32 pixels on the Comments Panel, then shrinks down to 16 pixels on the Top Posts list on the Dashboard Panel. On the front page of the WordPress.com site, the avatar images are 128 pixels and 48 pixels for the top blog posts listings. On the Blogs of the Day on WordPress.com site which tracks the most popular blog posts and blogs on WordPress.com, the avatars for the most popular posts are 96 pixels square. That’s a lot of flexibility for such a small image. Here is an example of four sizes of my avatar for Lorelle on WordPress. The first one is 128 pixels, then 80 pixels, 32 pixels, and finally 16 pixels. As you can see, the image is clear at 128 and 80 pixels, but the image quality drops to nothing as it gets smaller. Only the color is retained. This test makes me reconsider the avatar graphic, don’t you think? Then how often is my avatar going to be in the top 10 blog posts lists and the 16 pixel size used? Hmm? Many use a flower or body part. Let’s take this photograph of a flower by my husband, Brent VanFossen, and run it through it’s shrinkage as an avatar. There is enough contrast in the colors and shapes for the image to hold to the small size, though it looks like a button rather than a flower a the smallest size. High contrast between the foreground and background colors helps hold the image through the shrinkage process. Using another photograph of an orangutan by Brent, let’s see how an animal image, especially a face, handles the reduction in size that an avatar undergoes. The facial features are lost at the smallest size, but it does hold most of the way down. The sparkles in the eyes, called the catch light, keeps the focus on the eyes and facial recognition possible even at the smallest sizes. Using a graphic, especially a simple, high color and tone contrast design, holds all the way down to the smallest 16 pixel size. From these examples, it’s clear to see that an avatar image with good contrast between the background and the foreground subject, uncluttered and simple will reduce down better than a busy, dark image. An avatar image can be anything, but it must be shrinkable. 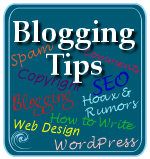 Copyright Lorelle VanFossen, and author of Blogging Tips, What Bloggers Won't Tell You About Blogging. This entry was written by Lorelle VanFossen and posted on December 31, 2007 at 4:27 am and filed under WordPress, WordPress News, WordPress Tips, WordPressDotCom with tags how to use wordpress, wordpress, wordpress help, WordPress News, WordPress Tips, wordpress tutorials, wordpress.com. Bookmark the permalink. Follow any comments here with the RSS feed for this post. Post a comment or leave a trackback: Trackback URL. lorelle, with regards to the plugin, it says version 1.2, does it support 2.3 now? i am using gravatars 2 plugin but would not hesitate to switch if there is an up to date official plugin for gravatars. don’t get me wrong, gravatars 2 is a great plugin to use, very simple and it is successfully integrated into my theme but i would definitely prefer something which is official. Love that, really useful and informative. Can wordpress.com gravatars now be seen in wordpress.org blogs, using those plugins? I think that it is worth mentioning two alternatives to Gravatars – Wavatars and MonsterID. Both are very easy to integrate to a theme and I think have the primary advantage over Gravatars that they are generated and stored locally, so you arent dependent on the servers at Automattic (reliability and speed). I am using a plugin that only show gravatar but my commentator seems not having an gravatar so it will only show the gravatar default image. how can i change to combine avatar and gravatar? I host WP on my own domain and so I wanted a mixed solution, and I found it! I use Comvatars. It combines the best of all worlds. You can host your own avatars, use Gravatars or Favatars or all three! I choose all of them together and they work great. If the user doesn’t have a site-personal avatar it looks for a Gravatar, and if that fails it looks for the fav icon from their website. Lastly, if nothing can be found it uses an anoymous avatar from my unidentified section. I love it! Good article, I found this to be true. Very nifty. I’ll have to remember this for when I move my bloggy to wordpress in April. Funny, cause I just installed Gravatars yesterday. I used to have them installed before, but after I changed themes I never added the feature. As for which version which Plugin supports, you’ll have to check the Plugin author’s blog for updated information. jonathan hickman: There are no WordPress.org blogs. There is the WordPress blog program you can download from there and install on your own self-hosted site. Then you could use the various Plugins. If you mean can the avatars used on WordPress.com blogs be seen through the Gravatars Plugins on non-WordPress.com blogs, I’m still waiting for an answer on that, but I believe so. Aizat: There have been mention in the comments here of Plugins which will work with other avatar systems including Gravatars, so try those to get as many avatars as you can on your blog. I tend to call self-hosted WP blogs “WordPress.org” blogs, to differentiate from wp.com blogs, although I know that’s not entirely accurate. Sorry about that. I’ve now tried easy gravatar and haven’t had any luck getting WP.com avatars to show up. If anybody else has any better luck, let me know! I believe that as long as your avatar/Gravatar lins back through the Gravatar service, your picture should show up on any Gravatar enabled blog or page. Thx for info .. it’s awesome! I don’t know about the problem, but that in some wordpress (.org) blogs, gravatars don’t show up even though it’s enabled in their sites. Your step by step guide finally helped me get gravatars working for my site! So happy. WordPress tutes and the gravatar plugin readme didnt seem to do it for me. So a MASSIF thanks to you Lorelle!! I’m fairly new into blogging and would like to enable avatars on my site. I installed the Easy Gravatar Plugin successfully. You mention in the post above that you can change your avatar by going to… “Users > Your Profile panel. In a box currently on the left side is where to upload your image.” I see no box on my WP admin. Where is this? Ok… I see now that my image is in the GLOBAL (wordpress.com hosted) site. How can I make this work in my locally installed copy? Further, is there a way to opt-in users on my blog? I see that when I visit yours (again hosted at wp.com) there is a top iframe showing my credentials. Again, I’m new at this but learn quickly… thanks for any pointer. I like this feature. If your commenters have a Gravatar account, their image will appear in your comments when using a Gravatars Plugin. To make it work, I’m sure you’ve found the panel added by the Plugin by now. There is no way to “opt-in” blog users other than to provide them with a link to get their own. I can’t get the plugin to work on my wp.org site. I have it installed and activated and they ask me to put the snipet of code to call it () in the comment loop. When I add it, all I get is a URL pasted on the page. I’m not sure where to place that code gravater is giving me. Any suggestions? Would you have a sugestion about that ? Should I mail the support (as soon as it re-opens …) to ask them ? Or is it a no-solution situation ? The issue you have is with Netvibes not WordPress or WordPress.com or even Gravatar. 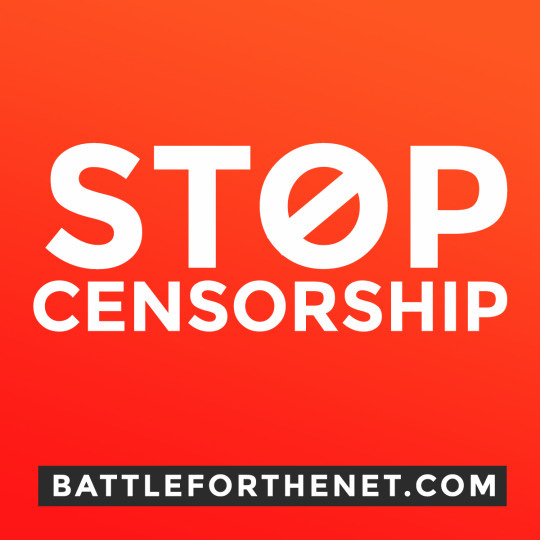 Change your avatar image if you don’t like it. I can’t help you with Netvibes. For help with how it works in WordPress and WordPress.com, see the appropriate forums or the Gravatars site. is there a plugin to display avatrs for different posters in a blog? I’ve listed specific Gravatar Plugins in the article. Is there something more that you need to do with these? I’m not sure I understand what you are asking for. Delete the image from the Rich Text Editor. Move your cursor to the place where you want the image to go. Using the image uploader, add the image at that point. Then click on the image to align it within your post text. You can learn more about this in WordPress.com Blog Bling: Decorating Your WordPress.com Blog. Gracias por el dato!!! ya lo integre en mi blog. It can take some time, maybe a few hours, for the server to update itself so your Gravatar is visible across the web. If you continue to have problems, visit the WordPress.com Support Forum for help, if you are using WordPress.com. 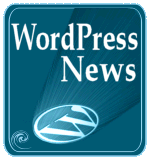 Visit the WordPress Support Forum if you are using the full version of WordPress. Now for the real question: How does one add an avatar to one’s forum profile on wordpress.org? Actually, that’s a very good question. I’m not sure I have the answer. I used to have an avatar on the WordPress Support Forum and it was indeed there when I checked my profile. I tried to edit my profile to see if I could set the avatar there, and suddenly, my avatar was gone. So I went to Gravatar.com from that page and I was already signed in with no avatar shown. Since I didn’t have an avatar associated with the email address of the support forums, I assumed that I was automatically still logged in through WordPress.org. So I’ve added a new avatar associated with that email address and we’ll wait and see if it appears on the WordPress.org forums. Not the answer you wanted, but a good one. Stay tuned for an answer. Thanks for the info, works like a charm! Dear Lorelle, I don’t seem to have anything that shows where a photo could be possibly uploaded in my Users> Your Profile Panel. And I’m working with WordPress 2.6 Any sugestions? Thanks! If you are working with the full version of WordPress, go to gravatars.com and add your photo there if you are talking about having your gravatar on blogs you comment on. If you want your photograph to be on your blog, you can manually add it to your WordPress Theme with a text widget, or place it manually in a blog post or Page. There are also WordPress Plugins that will add a photograph to the author’s pageview or elsewhere through the WordPress Administration Panels. 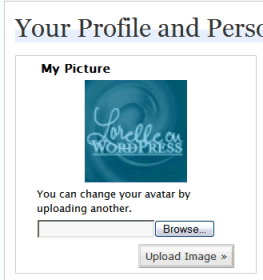 The option of adding your picture or avatar to your blog through the Profile panel is for WordPress.com users. Testing my gravitar..Why does a REALLY old picture show up on my admin for new sites? Because of two possible reasons. One, your gravatar hasn’t updated to the new image properly, and two, the old one might be cached and stored in a site you visited previously with your old gravatar. Consider checking to see that you have indeed updated a new image at Gravatar. i really need this tips..
I’d like to use this feature without a the need of a gravatar user account. Is that possible? Gravatars are free. In order to use Gravatars, you must use their service. How else will other people’s blogs and websites know where to get the image for your comment which is linked to your email address when you comment? Gravatars are becoming the default online avatar. There are other services, but most are using Gravatars on their forums and blogs. It used to be that you had to upload an image to every site you logged into. No login, no image. Gravatar crossed that border allowing for one sign up and that’s it. I’ve read through all the posts here but don’t seem to find an answer to my question. I am not interested in having gravatars on my “blog” just localized avatars. I have a self-hosted (wordpress.org) blog. There is no function within the user profile page that allows them to upload there own personal avatar (as there is in wordpress.com blogs). As the administrator I have enabled avatars in the admin panel under the “Discussion” section, but still no upload avatar feature appears under the user profie. The very best I can get is that comments will display the “mystery man” avatar. You are actually one of the few to have issues with Gravatars. There are WordPress Plugins that will allow custom avatars, which means that upon signing up, people will have to provide one or they will get the default blank avatar. I’ve not worked with them, but you can try them to see which ones you like. By enabling avatars since WordPress 2.x, you are automatically enabling Gravatars without needing a Plugin. Uncheck that box if you do not want to use Gravatars. Your WordPress Theme must be updated to work with WordPress 2.6-WordPress 2.7 in order for Gravatars, and most WordPress Plugins, to work. Be advised that versions before 2.7 have security vulnerabilities and you are at risk if you continue to run your blog with older versions of WordPress. Thanks, I’m certainly going to take your points into consideration when creating a default avatar for my site. I don’t see that option to upload an avatar under users -> your profile? Any ideas? It should be there, though they have recently changed the interface. It’s there on my version. Gravatar.com automatically creates a wp.com account. If you are using the same email address for a .org account it will auto pull the gravatar. Thanks for the help.. Thanks a lot its a superb post i followed the instructions and now gravators are running well on my blog. 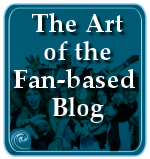 I just learned about this feature to add avatars to my blog. 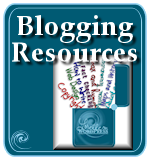 It’s amazing what you can do now with blogs. simple and easy way to bring gravatar in your comments is here it just took me 5 minutes to do that. I changed my gravatar, but it hasn’t seemed to change when I post comments on blogs. The old pic still comes up. Any ideas? I sorted it out! I now have it showing up correctly. Thanks again for the article! Now the comments are enabled but I have lost the avatars 😦 mo icon is showing up in my comments. Any help? For some reason mine isn’t showing up still ><. Check your email address to ensure it matches your Gravatar email address and the address within your WordPress.com profile. I accidentally put my email in with an extra letter, which caused it not to work and I couldn’t figure out why for the longest time. If that isn’t it, contact Gravatar for help. Hi. This is a great post. I am having problems with my blog icon/photo. I already updated my gravatar and profile photo but it doesn’t show up on my dashboard, my comments, or when I link my blog. 😦 Help? Check that your email matches EXACTLY to the one registered with Gravatar.com. Great article. WordPress newbie, so I will try this. this is exactly what I;m looking for… ‘been trying to change my own site avatar for the past days….. If you are having trouble uploading an Avatar/Gravatar to your WordPress.com profile or at gravatars.com please contact WordPress.com support. Since there have been changes in the interface since this was written, the new path is to the top bar above your site name in the Administration Panels, go to My Account, and drop down to Profiles. Is this true for wordpress hosted version also? 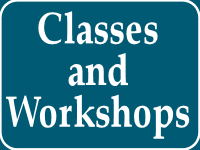 As the title says, this is for self-hosted WordPress and WordPress.com. Can’t find the page to upload the avatar image on my hosted version of WordPress. can you please post a screenshot? No, as the placement changes every few versions and updates. Look under Users, My Profile for the avatar, or better yet, go to gravatar.com and sign up with the email you use the most on WordPress.com and upload your image there. It will automatically work with WordPress.com. Thanks for the post. I’m a little confused. When Gravatars first appeared on WordPress, I was able to move my cursor over my avatar, and my “About” info was displayed. Now, for some reason, the avatar is static and does not seem to be “live.” Have I unwittingly disabled something? Both Avatars and Gravatars are enabled on my controls. I have never received an email from Gravatar or WordPress, confirming I do have Gravatars enabled. To get help with Gravatars, go to their site. You can login and verify what gravatar image is set. They’ve recently updated Gravatar with new Gravatar Hovercards for WordPress.com. If this is a WordPress.com issue, then you need to check with them through their support. I searched google for ever to figure out how to use gravatar and your article was the last one I landed on and it answered all my questions. Thanks, for the post. Thank you for this input! We will now be adding a gravatar plugin for our blog. I think it is very important for authors to be able to add their brand logo or image. Thanks again! This was very useful information for me. I knew what’s avatar but didn’t find jet how and where I can change it. Are you talking about the Jet Pack? That’s already built into WordPress.com. If you would like to download it for a single hosted WordPress site, look for it in the Plugins panel in your installation. Thank you very much for the post. This will help me in adding Avatars and Gravatars in my wordpress site. My site has a lot of unique content I’ve either written myself or outsourced but it appears a lot of it is popping it up all over the internet without my permission. Do you know any techniques to help reduce content from being stolen? I’d definitely appreciate it. Content quality and volume has nothing to do with plagiarism and copyright infringement. See What Do You Do When Someone Steals Your Content for more information. Thanks for your awesome post. I want to upload new gavatar image in my blog. Please discuss about it.